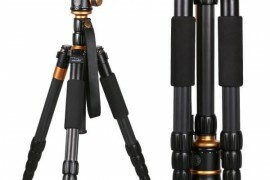 Price of AFAITH Q-666C Tripod is $175 Approx Get Latest Price! 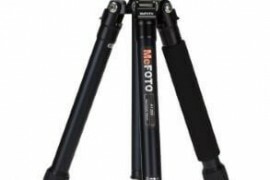 Manufacturers like Afaith, Zomei, Ravelli are giving tough time to established and costly tripod makers such as Manfrotto. 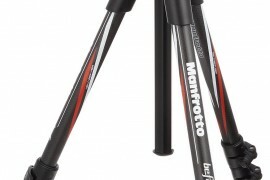 Although comparison in terms of quality between Manfrotto and afaith can be a bit tricky yet beginner photographers can find their three legged companions well within their budget thanx to manufacturers like Afaith. 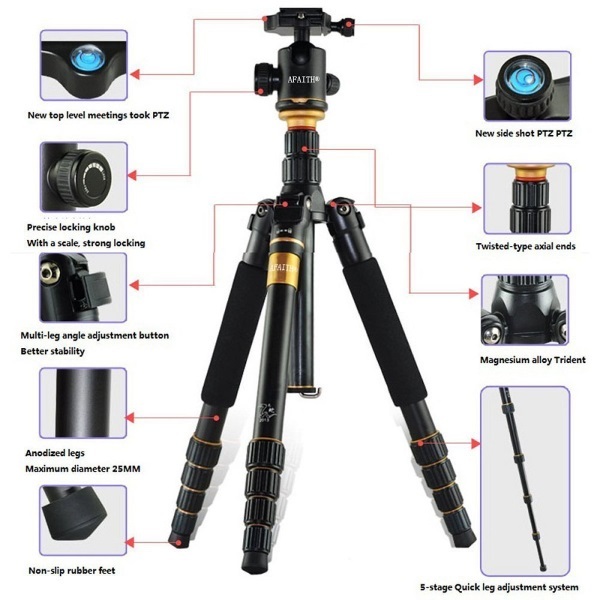 Today we are going to take a good look at AFAITH Q-666C, being just a little over $150 this tripod can be squeezed into our budget section. It is surprisingly compact and boasts carbon fiber construction. 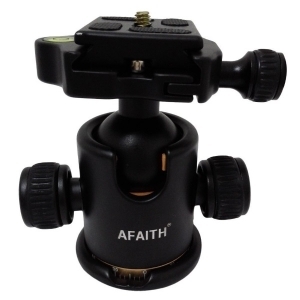 AFAITH Q-666C can be a very tempting choice for people looking rock solid inexpensive tripod. It’s lightweight hence perfect for hiking and carrying along with you all day long. Also I see no reason why even the professional photography folks cant pick the AFAITH Q-666C as their secondary backup tripod. 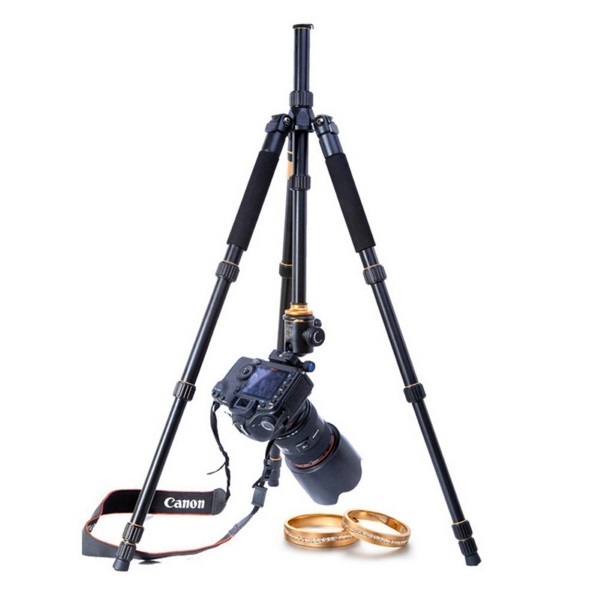 Let’s take a better look on this Portable Carbon fiber Tripod Monopod Kit & Ball Head setup. 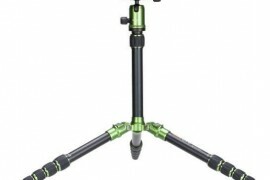 Tripod Legs : AFAITH Q-666C carbon fiber tripod has got 5-Segment Interlocking high-density carbon fiber tube type legs. 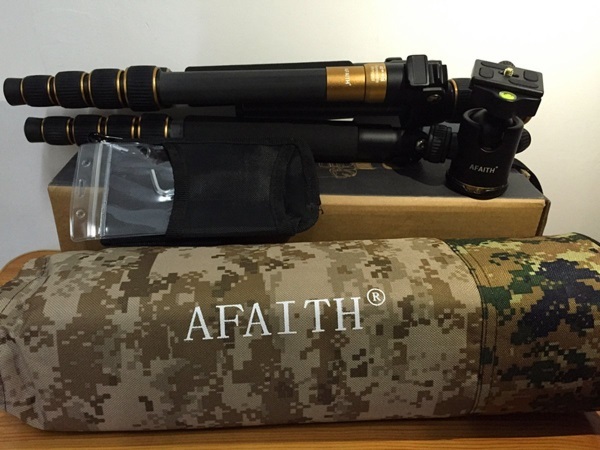 Afaith claims to be using eight layered various angled carbon fiber sheets furnished with high temperature curing and high pressure strengthened polymeric tubes to construct this tripod. The claims stood well in my rigorous testing where this tripod took hell of an abuse before giving up. To add further more, potential buyers would be happy to know that AFAITH Q-666C carbon fiber tripod is both heat and corrosion resistant. Locking mechanism is a breeze to operate and allows you to setup the tripod quickly for it’s intended usage. 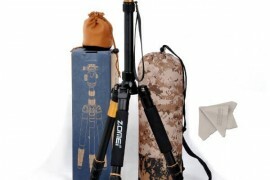 Tripod to Monopod Conversion : Afaith Q-666C carbon fiber tripod also serves as a very dependable monopod. You just need to remove the central axis to screw it on one of the legs and voila “It’s a monopod”. I have even laid down a schematic chart to assist you through the whole tripod to monopod conversion. 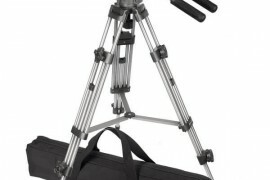 Supported Maximum Weight : You can put up-to 33 lbs or 15 kg load on this tripod as per Afaith’s specifications. The legs are firm and carbon fiber construction is reassuring that you can mount your Dslr with almost any lens without any concerns. Weight of Afaith Q-666C Tripod itself : AFAITH Q-666C tripod is fairly light at 3 lbs or 1.32 Kg making it easy to carry around and a delight to have one in your backpack on hiking. Head : The supplied head does it’s job to a certain satisfactory extent. 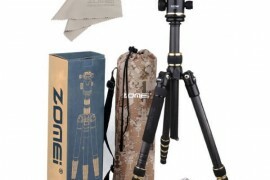 You obviously can’t expect any exceptional head at this price point let alone a complete tripod. Anyways the head is replaceable and thus giving you a little room for upgrade. 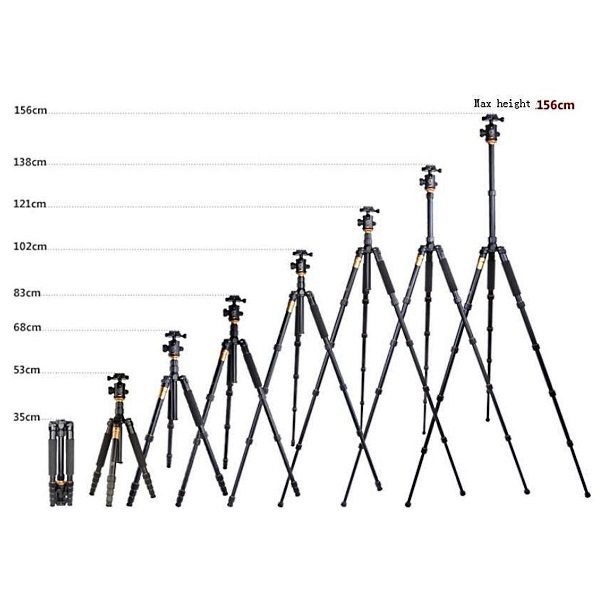 Maximum Height : Maximum Operating Height on AFAITH Q-666C tripod is 1560 mm or 61.4 inches and adequate even for a tall guy like me. You can expect stability at it’s full extended length without a problem and there is a hook to hang some added weight on the center column just in case you have rough weather while shooting outdoors. Minimum height when packed : AFAITH Q-666C tripod is just 350 mm / 13 inches (1 Foot) when collapsed. It’s an easy fit in almost any space and is one less thing for you to worry about when packing this little buddy. Minimum height while shooting : With the center column reverse mounted you can take the Afaith Q-666C almost on the ground level. A handy little feature for people willing to get into product photography and macros. Sturdy and Durable Carbon Fiber Construction. AFAITH Q-666C is lightweight and compact. The legs are independently adjustable at various angles. 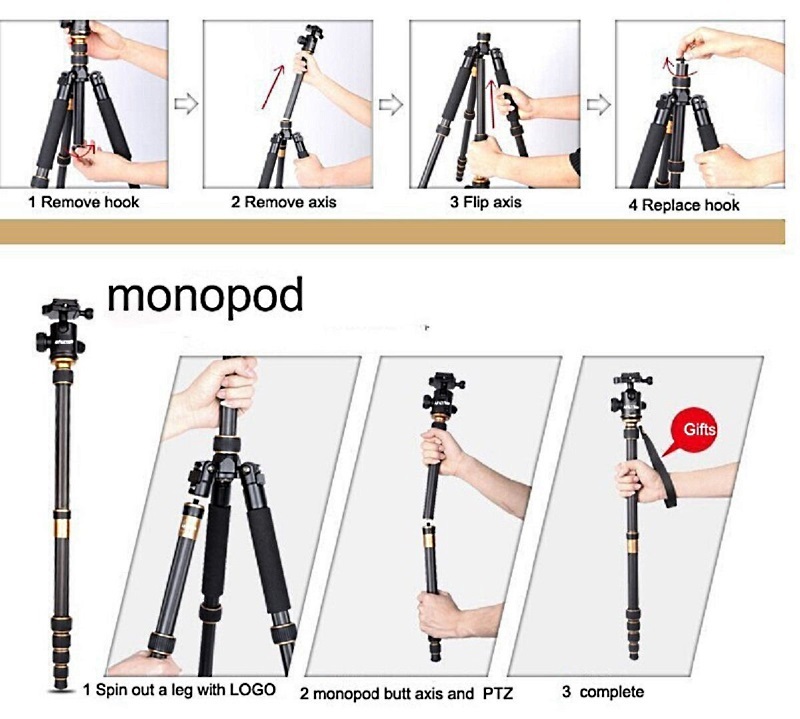 Can be easily converted into a handy monopod. Supports up-to 15 Kg of mounted weight. Supplied good quality stylish carry bag. Ball-head is just so so. 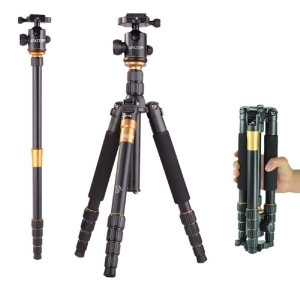 So would I recommend the AFAITH Q-666C Portable Carbon Fiber Tripod ? YES, Afaith is offering a professional quality carbon fiber tripod inside a very attractive price bracket and you can confidently pick the AFAITH Q-666C over the other expensive tripods in the market if you are just getting started with photography. You can try a little cheaper but totally identical one ZOMEi Q666C or the similarly priced Zomei Z669c. Zomei Q666C support up-to 13 kg of maximum weight, just 2 kg less than Z669c and Afaith Q-666C which in my opinion is not much. Infact both Afaith and Zomie are so similar they look like assembled in the same factory. You can pick either of them without any worries.